Is there really anything like a cheap car nowadays? Since the financial downturn people have opted to stick with their car because getting loans has become harder than ever. This has created a market for older cars that would otherwise have been scrapped. If you’re looking for cheap cars for teens, this is definitely the time to enter the market. Even if you find the perfect car, you’ll need to consider a few things before you part with your cash. There’s no point in buying a cheap car that you can’t get your teenager insured on. The best cars for affordable insurance are the Dacia Sandero, Hyundai i10, Renault Twingo, SEAT Mii, Skoda Citigo, Skoda Fabia, Smart ForFour, Vauxhall Corsa and the Volkswagen Up!. Each of these cars fall into insurance group 1 or 2 which is why they’re affordable. According to a report from AA Insurance, the average 17 year-old male pays around £5,000 for insurance. 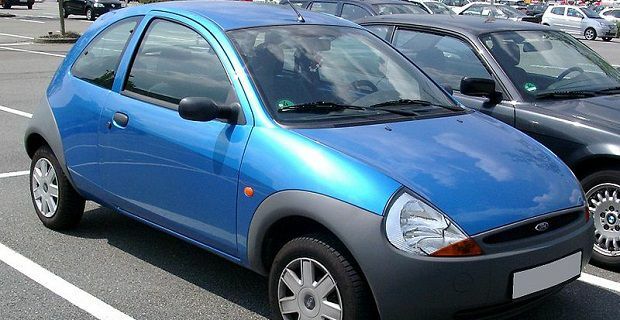 The Ford KA2 is one of the most ideal cars for youngsters because it’s cheap to insurance, cheap to run and affordable. The Peugeot 107 is another car that’s financially manageable for teenagers as the insurance costs shouldn’t be more than £1,994.42 for a year’s motoring. If you can afford the purchase price for a Mini One, you’ll also need £2,268.85 to get insured. Although that sounds like a lot of cash, consider that a standard Honda Civic will cost a 17 to 20 year old driver £4,515.92 to insure. If your main concern is a cheap price for the car, you can get your hands on a Peugeot 206 for less than £1,500 nowadays. You might find that the insurance sets you back a little more than the other cars we mention here as this Peugeot is a group 3 car. A VW Polo built between 1994 and 2002 is another great buy. This car is a good safe bet that should be really reliable. Unfortunately though the car’s insurance group lets it down.